The pair, Tionne "T-Boz" Watkins and Rozonda "Chilli" Thomas, will be in Liverpool for the event along with stars including Emeli Sande, Rita Ora and guest of honour Dionne Warwick, who will pick up a lifetime achievement award. 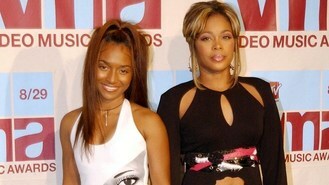 The group, which also included Lisa "Left Eye" Lopes, had a string of hits in the 1990s including No Scrubs and Waterfalls before Lopes's death in a car crash in 2002. Saturday's ceremony, the 17th annual Mobo Awards, is hosted by Miquita Oliver and Adam Deacon and will feature appearances by JLS, Conor Maynard and Labrinth. Mobo founder Kanya King said: "The level of originality and creativity shown across this year's nominations is staggering. As if having some of the world's biggest stars in the industry wasn't enough, we're honoured to host some true legends in music who have made it possible for today's talent to flourish."